Lime Crime is best known for its insanely pigmented and long-wearing liquid lipsticks, which are a fan favorite. I happen to be one of those fans. Take it from me: these lipsticks glide on like silk and dry down to a powdery matte stain that stays put throughout the entire day (dinner and drinks included). Along with Nyx's Soft Matte Lip Cream in Antwerp ($7), these liquid lipsticks are the only ones that I've stayed loyal to for years. The brand also makes shadows, highlighter, brushes, and liners, too. (Most recently, they came out with Polly Pocket reminiscent pressed shadow palettes that appeal to our inner '90s kid in the best way.) Clearly, Lime Crime is a brand to watch, and now it will be easier to do so. According to PopSugar, this ultra-cool indie brand will be available on Ulta's website at the end of the month. 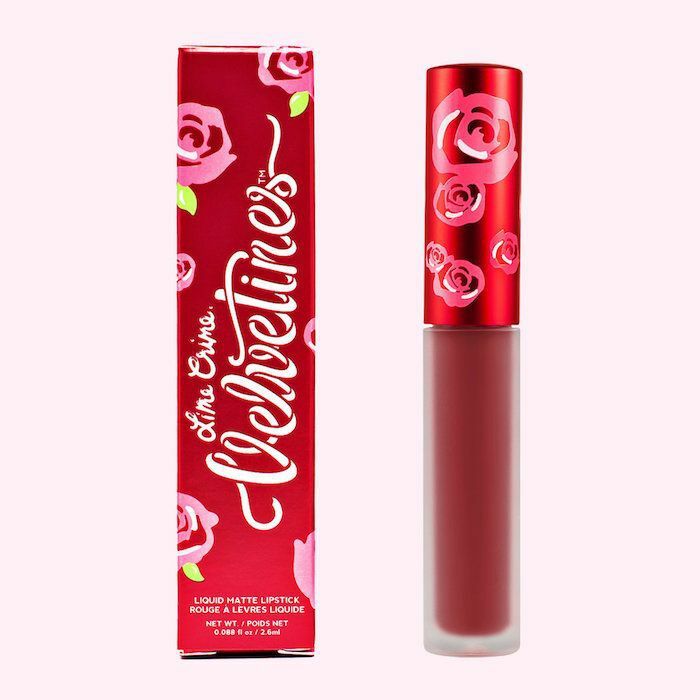 Keep reading to see some of our favorite Lime Crime products. This liquid lipstick is one of my all-time favorite shades from the brand. It's called Rustic and it's a red shade that's mixed with pink and brown tones. After it dries down, it reads like a deep berry shade (which, I must admit, I'm extremely partial to). This is one of those aforementioned Polly Pocket–inspired makeup palettes. How cute is the packaging? If you're like me, it immediately brings you back to your childhood. Each one includes five full-size "super shadows" that are super smooth and buttery. The best part is that each one contains both eye and cheek colors. The brand is always on trend, too. 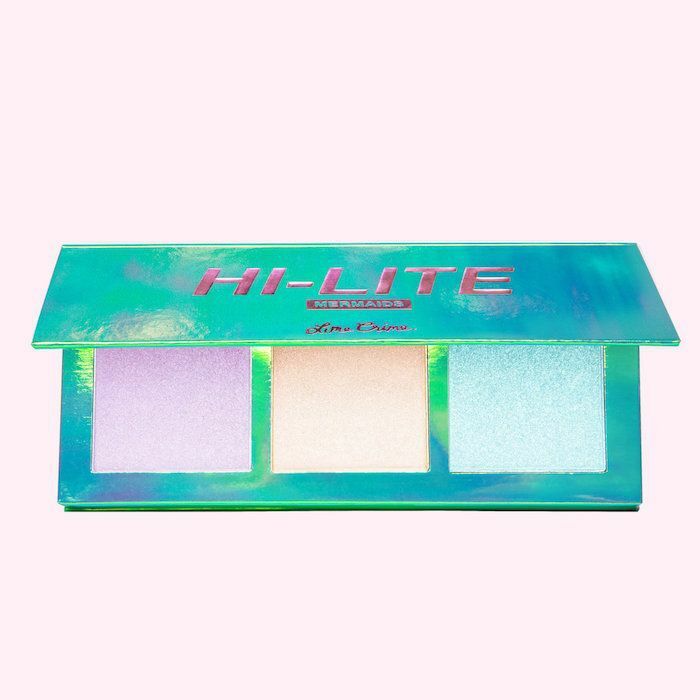 For proof, just look to their highlighter palettes, which come in four different variations—called Opals, Unicorns, Blossoms, and Mermaids. My favorite is the last one (since, as I've already said, I'm a sucker for anything that brings me some good-old childhood nostalgia). It includes three separate highlighter shades, including an iridescent lavender, ivory, and seafoam blue. According to PopSugar, the official Ulta launch date for select Lime Crime products is October 29. So far, the brand is only being offered online, although we hope it will extend its offerings to brick-and-mortar stores in the near future. Either way, we're happy to hear the news. 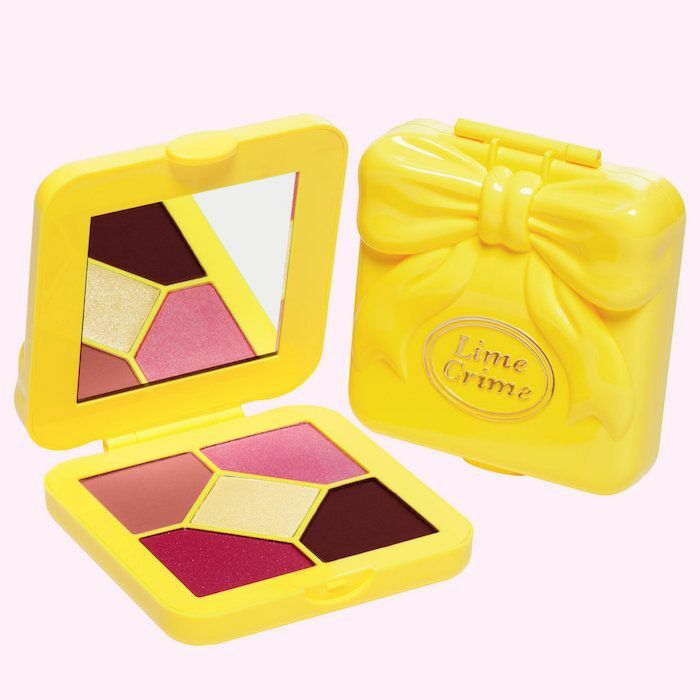 Lime Crime is one of the few makeup brands that is certified vegan and cruelty-free by organizations like PETA and Leaping Bunny. This is significant; it's relatively difficult to find ethically produced beauty products at major retailers. It's even harder to find ethically produced beauty products that are budget-friendly and effective. Hopefully Lime Crime's Ulta debut will incite other retailers to include more conscientious beauty brands in their retail spaces. Head over to PopSugar to see the full article. Then catch up on the best hair serums that money can buy, according to beauty editors.